In the words of the great Brian Fantana, “60% of the time, it works every time.” I think it must have been the 60% thing that brought the Anchorman quote to mind when describing the new C Class dLive system from Allen & Heath. The new range features all the DSP grunt of the original FPGA-powered S Class dLive, the same preamps, the same converters, the same number of inputs to mix (128) and the the same number of mixes (64) and it all runs at 96kHz, just like big brother. But all this dLive goodness comes with a 40% discount off the S Class price – hence the 60%, you see. 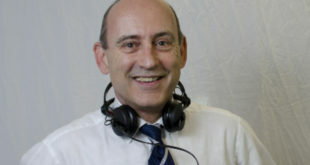 For Allen and Heath this is a tried and tested route. Having established their credentials with the iLive system, A&H launched the more affordable iLive T to great and lasting success. So what do you miss out on when opting for a C Class rather than an S Class dLive? 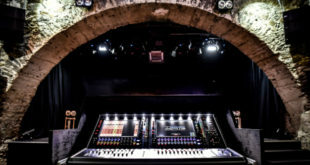 Dual, hot swappable power supplies and dual redundant connectivity between surface and mix rack are S class features that big tours and hire guys are looking for, plus the extra I/O slots on the S Class MixRacks and surfaces. Also you get a few less hardware controls on the surface and less connectivity in terms of DX options on the C Class surfaces and MixRacks, and a little less local I/O on the surface. That being said, the touchscreen is as bright and responsive as the S Class and the Harmony user interface is identical. One very welcome new feature of the C Class range is a 19in rack-mountable surface in the form of the C1500 (main picture), and that is what I had to play with, coupled with the CDM 32 MixRack (pictured, below). Above the C1500, which features 12 faders and a single screen, the C2500 has a single screen and 20 faders and the biggest C Class surface, the C 3500, has dual touchscreens and 24 faders, but remember you can plug an external screen into the surface and choose from a range of display options for it. Sharing the same software and showfiles means that new facilities arrive simultaneously on both systems and some of the new features include DCA spills, Virtual Soundchecks and new toys like the Peak Limiter 76 and Dyn8 dynamic engine. I looked at the S Class last year and was knocked out by the sheer power, flexibility and performance. The prospect of a more affordable route into dLive is certainly one that demands attention. 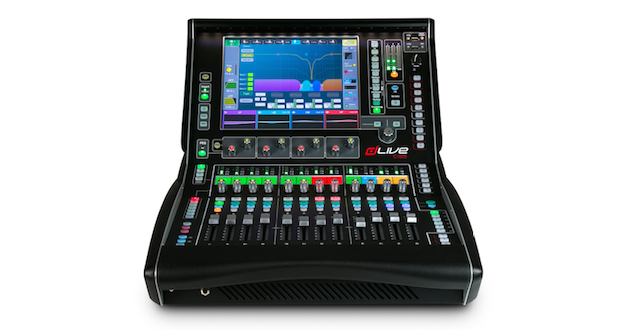 Like the now venerable iLive systems, dLive has the processing in the MixRack and the glamour in the surface. So a MixRack without a surface makes sense, but not a surface without a MixRack. All the Compact MixRacks offer the same DSP power – all will allow 128 channels at mixdown to 64 busses. The onboard grunt powers full processing on all inputs and mixes with up to 5.1 mixing on the main output; you also get 24 DCAs and the ability to route audio in and out of the matrix without processing it. 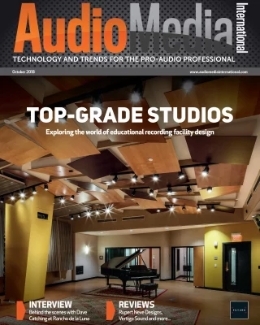 So you have effectively audio tie lines running in and out of your system above and beyond your 128 channels to mix. And of course, control of the MixRack is possible from an iPad app or the more fully featured Director software that allows full mixer setup and recall. It’s hard to know where to start when describing the riches of dLive so let’s begin with the breadth of the ecosystem. Any Compact surface or MixRack will work just fine with any S Class surface or MixRack. Also, the existing ME personal mixer system can be plugged into the ME port on a C Class MixRack to provide musicians with local monitor mix control over 40 inputs and the display of input labelling. 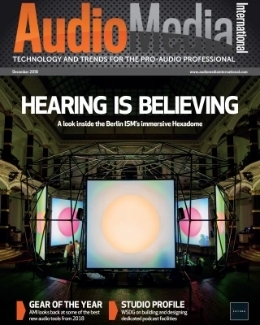 The sharp-eyed will notice that the ME is a 48kHz system, but all the sample rate conversion is done with no fuss. Similarly, with an adaptor you can plug in most of the iLive or GLD networking cards (which run at 48KHz) to your C Class system – each C surface and MixRack feature one expansion slot. This slot will also accept new cards like the FibreAce, which are 128-in and 128-out and run at 96kHz. And now we begin to see the power of the system – you can have 64 inputs from your MixRack plus another 128 inputs over FibreAce and then select which 128 you want to mix down from and of course change that selection when required. However, there’s more. Both the MixRack and the surface can be further expanded via the DX ports. The MixRacks each have two DX ports and there is a further DX port on the surface. At the moment, Allen & Heath offers only the DX 32, which is a 32-channel device that you can configure with four eight-channel cards, and there are analogue or AES options available. The DX 32 is very much part of the S Class range, featuring dual redundant power supplies and dual redundant network ports, but I think we can be sure that simpler options will become available to offer even greater flexibility. And talking of flexibility, while we weren’t looking A&H has added a couple of network controllers to the range of dLive accessories. The IP6 and IP8 are clearly inheritors of the PL controller’s genes but updated for the 21st century. Whereas the PL controllers were point-to-point, the IP6 and 8 work over any standard TCP/IP network. 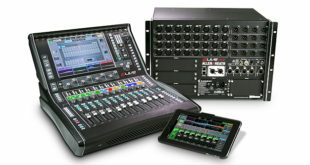 So you could use an IP6 (rotary encoders) for a musician’s monitor mix or an IP8 (motorised faders) as a sidecar for your masters or for your audience mics – or just to have access to more faders when you have the room to do so. In fact, with a MixRack, a touchscreen PC and a couple of IP8s you can pack your ‘surface’ into your hand luggage while leaving your surface at home. How cool is that? To say nothing of the use of the controllers for installs. And on to those new features: DCA spills will be familiar to anyone who has used pop groups on a Midas console – other implementations abound – and the idea behind spill is simple. You engage DCA spill mode with a softkey and then pressing the Mix button on your chosen DCA populates the fader layer with the channels being controlled by that DCA. There are options to configure how the channels are laid out and on smaller surfaces the feature is particularly welcome as a way of getting easy access to your working channels without wading through layers. The Virtual Sound Check feature is I’m sure another welcome addition, though I didn’t have a network card available to hand to test it. The attraction is that you can build and use your record and playback configurations without resorting to guddling around in Safes and Recall Filters. You can also disable channels from the VSC so you can use the VSC to rehearse ‘to tape’ if you want. One of the attractive features of the dLive series is the effects quality. Starting with iLive, A&H have gone for quality over quantity and have continued to add high-quality processing options to the system. 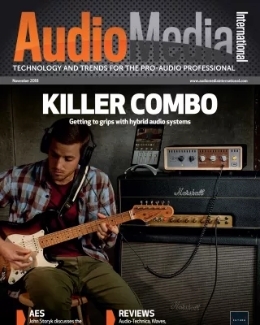 On a channel-by-channel and mix-by-mix basis you have DEEP processing options – EQs and dynamics with four GEQs and some nicely modelled compressors and limiters. You also have access to 64 channels of DB8 dynamic processing, which can be configured as a four-frequency-band multiband compressor or a four-band dynamic EQ. And those 64 channels of processing can be applied across inputs or mixes. The 16 native effects engines cover a wide spectrum of reverb, delay, chorus, flange and the dLive has more ’80s classics than NOW! 15. But alongside the classics there are more 21st century options like Dynamic EQ and Transient Controller. The C Class range is a well thought out expansion of the dLive system. If you don’t need the touring-grade features then the 40% off will look like a massive bargain. Being in step with the S Class means you already have numerous options in expansion and control and A&H’s background in install is really paying dividends in areas like the IP controllers. The small footprint of the C1500 is particularly attractive and the ability to add I/O to a C Class system via the DX port rather than having to buy a bigger MixRack means an upgrade path that won’t break the bank. In fact, that might be the system’s most attractive feature – investing in a C Class system buys you a seat at a nice long table. Pick your seat to match your appetite – if more faders are required go for an S Class surface, and if you don’t need the S Class MixRack features pick from the Compact MixRack range. Too often we have spent our hard earned and ended up marooned on an island requiring wholesale resale to get off. Things I would like to see? Well, spills on groups and auxes, a 16-in, 8-out DX box at an attractive price, and for the world’s laziest man fill those libraries with channel settings to make my life even easier. The C Class with great aplomb manages to feel both brand new and exciting and mature and well tested at the same time. So if you can forgive me another Anchorman line: C Class dLive – it’s kind of a big deal! 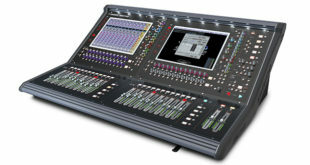 RRP: From $6,500 for a CDM32 MixRack to $21,500 for a CDM64 and C3500.